Arthur has over 10 years of film and television production experience as a line producer, producer, and director. He recently wrote and directed the sci-fi feature Found In Time. It won Best Feature at the Art of Brooklyn Film Festival, Best Sci-Fi Feature awards at Shriekfest, ShockerFest, Phoenix Comic-Con and Intendence, and was an official selection at 26 festivals, including Boston Sci-Fi, Nevermore, International Horror & Sci-Fi, New Filmmakers/NY, Imagine Fantastic (Netherlands), Louisville International, and GenCon. The film is available now on Amazon, Vudu, and other platforms. Focal Press recently published his non-fiction book on preproduction, Preparing For Takeoff: Preproduction for the Independent Filmmaker. 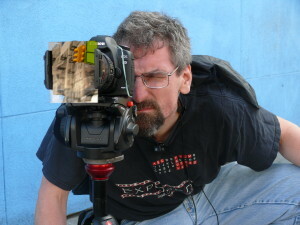 He’s written filmmaking articles for several online and print publications, including MovieMaker, Indie Slate, Pro Video Coalition, and Mixform.com. He’s currently developing an indie supernatural thriller, Bitter Child, and a supernatural/war tv series, The Spectral City. Arthur’s shorts The Prayer Tree, Matter, Mornir/Mornen and Secret Language have screened at various festivals and art venues, in New York, Texas, LA, and in Europe. Arthur has also line produced or production managed several features, including Helena From The Wedding (starring Lee Tergesen and Melanie Lynskey); Goodbye Baby; Windows; Rock the Paint; The Toe Tactic; Racing Daylight, starring David Strathairn and Melissa Leo; Company K; and The Reawakening. These films have screened at the Sundance, Slamdance, SXSW, Tribeca, Nantucket, Rome, Woodstock, and other film festivals, and have gone on to theatrical, DVD and cable distribution. Arthur has also line produced second-unit shoots, industrials, music videos, and shorts. Arthur has guest lectured at New York University, the School of Visual Arts, CUNY/Hunter College, University of Advancing Technology, Brooklyn College, and Fairleigh Dickinson University. He currently teaches film production management at Montclair State University. He holds a B.F.A. in Film/Television Production from NYU.